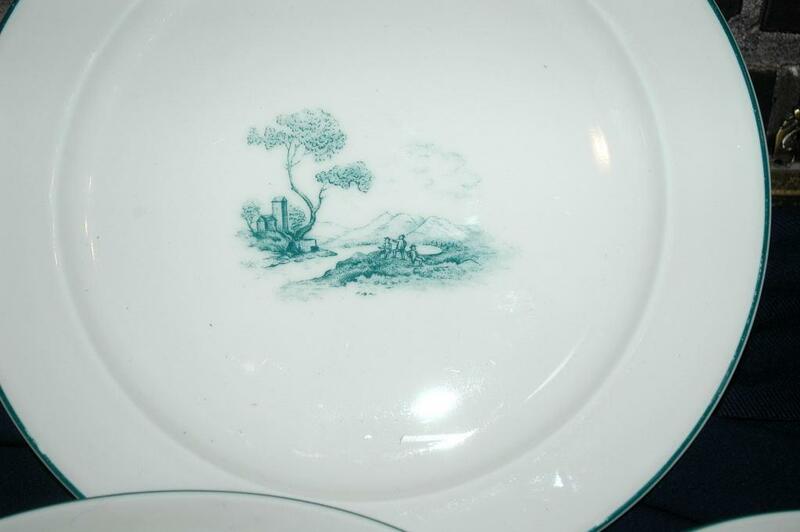 RARE PATTERN Furstenberg Brunswick Germany Porcelain Cream Soup & Saucer Set with Salad Plate, Bread and Desert Plate and 10" Dinner plate. . Each piece is hand painted with a lovely county landscape scene. 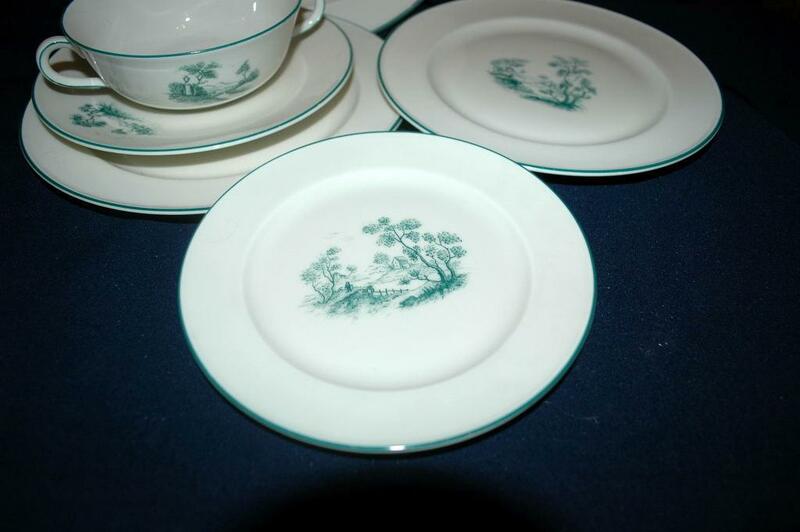 It is green on ivory colored porcelain with a green stripe around the rim. 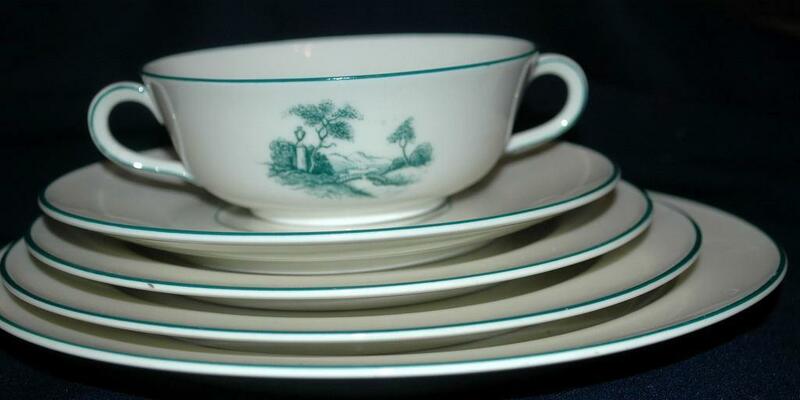 The patterns are charming and simple. The quaint country scenes vary. Some have mountains, lake and sail boat and then others have a house on a hill near a stream with a picket fence and some have lake with mountains in the background and the picket fence in the foreground. 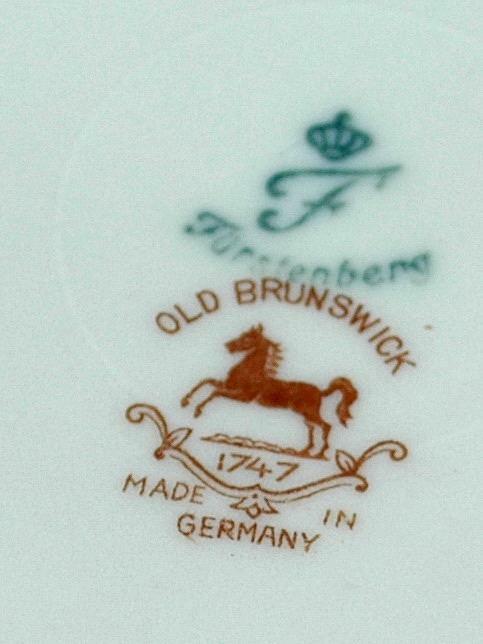 Some are marked Furtstenberg German with an F. Others are marked Furtstenberg Old Brunswick Made in Germany with a Horse and numbered 1747. The condition is very good to excellent. 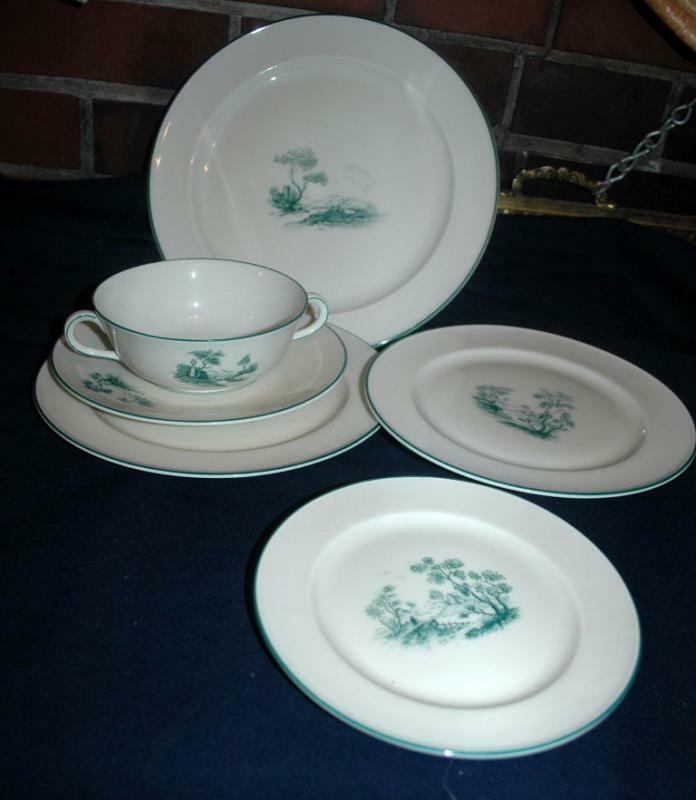 I selling them in 6 piece groupings however I have 8 sets of the same. Here is what you get! The various scenes and back stamps are randomly selected to make up each 6 pc setting. 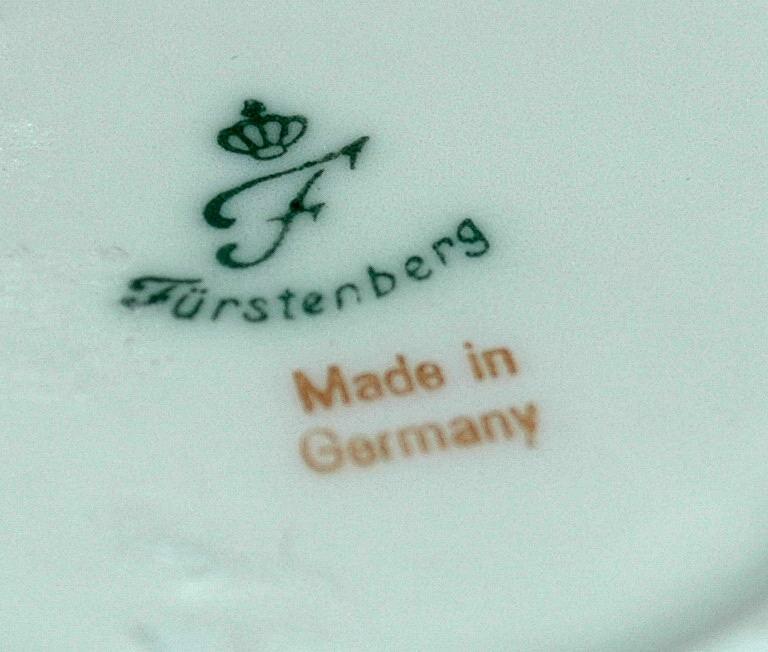 Items Similar To "Furstenberg Brunswick Germany Porcelain 6 pc Cream Soup Bowl an..."